Call us today to schedule an appointment for pet vaccinations! If you are looking for a small animal hospital in Abilene, TX that you can trust to take care of your beloved pet's operation, look no further than Animal Health & Medical Center. We are a family-owned and operated veterinary hospital in Abilene, TX run by licensed veterinarian Allen J. Bolt, DVM. Our veterinary hospital provides all kinds of vet services including: Spay and neutering, pet vaccinations, animal surgery and much more. Call us today if your pet needs medical attention. "We want your pet to be a part of our family!" We are a team of domestic veterinarians providing world class vet service in medical, dental, and surgical procedures. Dr. Bolt knows that your pet is a member of your family, and we ensure that he or she is treated as such. No matter what condition your pet is experiencing, we will find a solution and provide the best possible treatment. 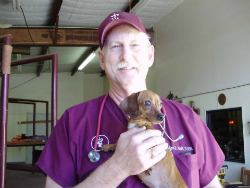 Dr. Bolt has over 35 years of experience as a veterinarian and is always striving to learn more and continue his education so that he can better serve his many different patients. When you are looking for a great vet service, you can rely on Dr. Allen J. Bolt! As a full-service veterinary hospital, Animal Health & Medical Center features a full in-house laboratory, digital X-ray machines, animal surgery monitoring equipment, surgical lasers, and ultrasounds. Animal Health & Medicine Center has been a family-owned and operated small animal hospital for over 13 years, and we invite you and your pet to join our family of patients! We have a waiting room that was designed to keep you, your pets, and your children feeling comfortable and relaxed. Our small animal hospital wants to you to know that when you choose us, you are in good hands! When it comes to your pet's medical needs, we make sure that your pet gets access to the best. We are a state-of-the-art facility and are equipped with the best techniques and diagnostic tools. We offer vaccinations, spaying and neutering, animal surgery, ophthalmic care, hip surgery, and more. We serve pets in Abilene, TX and the surrounding areas. All our medical procedures are affordable. If you have more questions about our animal surgery or other treatment solutions, contact us today. If your furry friend requires surgery, you can trust that we will care for him or her before, during, and after the procedure. We offer pet vaccinations, pain management, wound healing, and rehabilitation therapies to ensure that your pet is back to his or her usual self in no time at all. 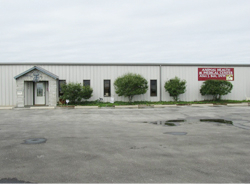 Animal Health & Medical Center is a full-service small animal hospital in Abilene, TX. Our professional and courteous health care team aspires to excellence in medical quality and client service. We utilize the most state-of-the-art knowledge, equipment, and techniques available to care for your pets and exceed your expectations. As a small animal hospital it is our commitment to provide quality veterinary care throughout the life of your dog, cat, or other small animal pet. We offer spay and neuter services for the Abilene, TX area! Spay and neuter procedures are an important part of your pet's well-being. Aside from helping to curb the amount of baby animals that end up homeless due to overpopulation, spaying or neutering your animal can actually help your pet live longer and stay at a lower risk for cancers, infections, and more. Call Dr. Bolt today at 325-896-4188 to discuss the spay and neuter procedure at Animal Health & Medical Center. Your pets cannot brush their own teeth, even though sometimes you may wish they could!If their trademark bad breath simply won’t go away with a minty treat, it’s important to get them an appointment with Animal Health & Medical Center. During our dental treatment, we will remove plaque, tartar and any severely decayed or damaged teeth. Good dental care is important for your pets health. A dirty mouth can be a breeding ground for bacteria and eventually lead to other diseases or health problems. We provide dental services for your furry friends, clean their teeth and gums, and more. Unbeatable Vet Services For Abilene, TX! If Dr. Bolt and our team encounter a condition with your pet that we aren’t equipped to handle or treat, we will gladly refer you to a specialist who can. We consider all of our patients to be family, which is why we provide them with the best care we possibly can. If your cat, dog, or small animal is experiencing something you are entirely unfamiliar with, we will be more than happy to educate you on furthering your pet’s care at home. Whether you are visiting us for a check-up, an animal surgery, or another vet service, expect loving care from all of our staff. Kind words from a satisfied animal parent! 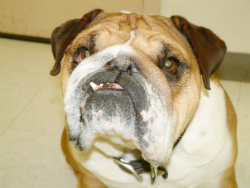 “I just love Dr. Bolt and the staff at Animal Health & Medical Center! They treat us like we are family!” – Jasmine M.
Animal Health and Medical Center is conveniently located at 7550 Highway 83-84 South in Abilene, TX. Call and schedule your vet service with us today at 325-896-4188. Small Animal Hospital Available for Animal Surgery, Pet Vaccinations, Spay and Neuter, and More Vet Services. We are a member of the Better Business Bureau. Our saying is "We want your pet to be a part of our family." Dr. Bolt has over 30 years experience.